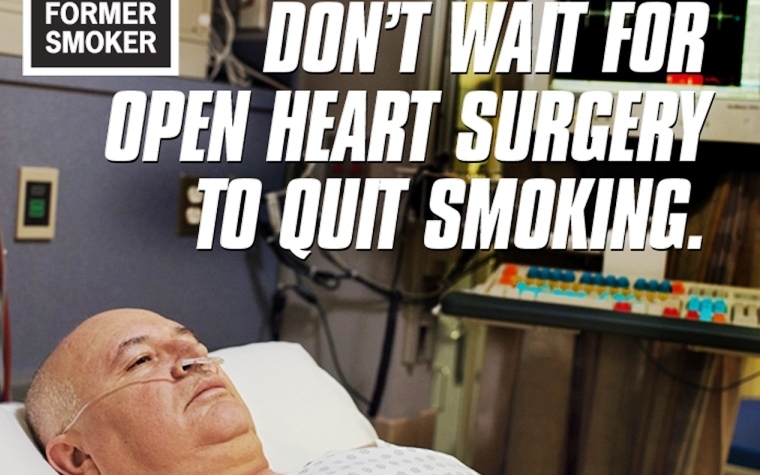 Ex-smokers have rallied behind the CDC's anti-smoking ad campaign and quit-line. In a compelling new cycle of advertisements, the U.S. Centers for Disease Control and Prevention will launch the fifth consecutive year of its head-turning “Tips from former smokers” campaign, starting Jan. 25 via multiple media outlets. With a series of personal portraits detailing victims of smoking-related illnesses -- including heart disease, tooth loss, depression and chronic obstructive pulmonary disease (COPD) -- ads will run for 20 weeks on television, the radio, billboards, the Internet, in magazines and newspapers. Since 2012, the CDC’s “Tips” program has generated over 600,000 extra calls to its free national quit-line, 1-800-QUIT-NOW, equivalent to approximately 62 percent more individuals. The ads bring to light the personal struggles of individuals battling the effects of long-term cigarette smoking -- from a Texas military vet who started smoking as an eight-year-old boy to a Florida grandmother who overcame her addiction to compete in a 5K race at age 53. The CDC notes that switching to e-cigarettes does not diminish the dangers of tobacco use. Smokers can call the quit-line to share their stories, view others’ outcomes or simply to reach out for help in their struggle to regain control over their health. Want to get notified whenever we write about U.S. Centers for Disease Control and Prevention ? Next time we write about U.S. Centers for Disease Control and Prevention, we'll email you a link to the story. You may edit your settings or unsubscribe at any time.